How has Sri Lanka fared this year in terms of the good, the bad and the ugly? Sri Lanka is an island. It is filled with many natural resources. In the past, it was reported that Singapore aspired to be a country like Sri Lanka, as the Island was doing very well during that time. But today, Singapore has passed us by many miles in the sector of development. It is suitable for us to analyse how Sri Lanka has fared this year in terms of the good, the bad and the ugly. As a Sri Lankan, it is saddening to say regarding we have had a poor performance in terms of development. If we take our achievements during this year those include; some corrupt politicians as well as corrupt businessman being tried by our enforcement authorities, sacking of politicians who were said to be corrupt from their portfolios and appointing of recognised persons to higher posts by the President based on the recommendation of the Constitutional Council. During 2017, several bad and ugly things were also reported and those are as follows; unruly behaviour of Members of the Parliament; involvement of politicians in several incidents which include bribery, corruption and fraud; some trade union activities by a professional body of doctors, which organised strikes and grave trouble to innocent poor people. It is sad to say that the cost of living has gone up to higher extent. Many strikes by trade unions – in order to get their demands – has put the people of this country in jeopardy. It is true that during this year several good, bad and ugly things were reported in our country. However, I wish that all of us would work together to make our mother land proud by developing this country and minimising corruption in Sri Lanka in 2018. Bad. The year 2017 has been disappointing, displaying most of Sri Lanka’s mistakes. The society and economy is in shambles due to the incompetent approach of conducting development projects with improper environmental protection regulations, undefined and inactive policies, inadequate preparation to climate change risks and also due to the fact that urban planning and infrastructure projects being under the purview of those who are clueless about the subject and the transportation network being in a poor state. Are we just passing days and living to the same old tune, or whatever the direction in which the wind blows? If the answer is yes, 2017 too is affirming this. We see no innovation; innovators are not given due recognition with patent rights, nor are new practical ideas where a small change make a stark improvement. Yet, we see thieves of high status who can’t be caught and charged for punishment. Almost everything is happening the same old way or is copied and implemented from a country elsewhere. This is a country dwelling on the grey areas. This can be interpreted in many ways – it is either a weakness, poor governance and policy planning or simply superstitious bad omen. The most appropriate rating would be ‘bad’. The main issue is that there is no vision, national policy, correct strategies and accountability in Sri Lanka. On the other hand, even though the Government wants to execute their genuine plans, nothing happens in streamlined manner due to various viewpoints of ministers. In fact a few ministers have taken the decision making power onto themselves and everyone else just wants to survive. More importantly the current fiscal and monetary policy in Sri Lanka does not make sense. Everyone is discussing about a change in the existing constitution, whereas little focus has been given for major issues. However, I firmly believe that we still have enough time to think and act as one nation and lead Sri Lanka to be one of the most developed countries in Asia. But the question is, does politicians have a genuine intention to develop the country or do they simply want to fulfil their own agendas? Ugly is the most suitable rating. This country lacks a common vision and enriched attributes to implement a continuous strategy. This coalition government in power sans a common vision and is unable to be productive. There appears to be a lot of personal agendas, as many actions taken by them seem to be undiplomatic, quick witted for the trivia and shallow minded. This is not a regime that is firmly interconnected and is fit to serve and drive the nation and its people to prosperity. This coalition way of governing has been breeding and feeding on the few who seemed to have their own say and govern according to their whims and fancies. Sadly, the people of this country has allowed themselves to be taken for granted, to be taken for a ride again and build a ‘strong and biased fixation’ on this weak fix. It has been a year full of broken promises. Nothing seems to work properly in this beautiful country of ours and the politicians are to blame for this, because they only fend for themselves. I dread the upcoming budget because last year we were given a box full of dud promises and nothing worked out. Also, why are we, the people, put through the mill when politicians are blatantly flouting the law? Why are there many rules for us and none for them? This nonsense must stop if Sri Lanka is to remain a growing nation. May 2018 bring us new hopes. Bad. Overall, very little progress is indicated; a sustainable noticeable change in both the private and government sectors. Both sectors are seeing limited growth, which is insufficient to achieve a constant GDP growth rate to achieve development. In addition, this meagre growth of the manufacturing and service sectors does not support productive operation and does little to attract the talented workforce, keeping the brain drain at bay. There is loss of productivity and excess expenditure in the public sector with over-staffed offices; whereas employees are exploited in the private sector with no harmony in workplaces. Sri Lanka is still lagging behind when it comes to realising its potential in terms of export trade and value addition to existing product and service range, healthcare policy and environmental regulations. Non-communicable diseases (NCDs) are taking its toll, there are no better agricultural methods or positioning of the tourism strategy. Increasing income disparities, conflicts among people from various social backgrounds of the society and extremism and destructive ideas are spreading like a vicious cycle. Let us ask ourselves the question – has Sri Lanka as a whole, lived up to the expectations of the people during the past few months? My answer is an emphatic no. The present good governance regime has failed miserably. Bribery, corruption and amassing of wealth by the VVIP has continued from the previous administration. The ugliest incident is the Central Bank bond scam, which leaves a black mark which cannot be wiped off. Maintenance and development of infrastructure facilities are being carried out in a haphazard manner. It is a sad plight to see the city in its present state. The road network is in total disarray, with the once smooth carpeted roads being dug up and the laying of electric cables and water lines proceeding at a snail’s pace, along with the construction of new roads and flyovers. The forest reserves and other natural resources are being plundered by the ruling politicians and their henchmen, which will give rise to major calamities in the future. We cannot see proper development taking place. The country needs revenue to provide facilities for its people and also to fund the development of the various sectors such as health, education and agriculture. But unfortunately there is no long term tax policy. A heavy burden is placed on one segment – i.e. the tax payers. One cannot see a practical the implementation. With the wrong signals being sent out to the international community, there has been no foreign direct investment in the recent past. Only the projects, which commenced a few years back are continuing. One cannot fail to comment on the huge debt burden, which we are forced to carry forward and undue controls being adopted by the international donor agencies, as well as the donor countries. From the positive side, one good thing is that there is freedom of expression. Also the right to information act has become law, instilling a level of confidence among the citizens. However, we cannot see justice being meted out to all equally. The President recently launched the national food production battle at Kekirawa, which is indeed an important step towards developing agri based products and encouraging the farming community. Furthermore, this will also open avenues for the development of new industries. In light of the above, drastic changes should be made by “the powers that be”, to see a better Sri Lanka in future, in order to fulfil the pledge given to the Sri Lankan people. It has been worse that what the world could mean. This land is ruled not in a manner in which a country should be ruled. Year 2017 has been sluggish than 2016, and we have gone from bad to worse. Yet, we cannot afford to expect the worst. Many sectors of the economy, including trade and exports and those that are connected to a quality lifestyle such as law and order and infrastructure, lack direction and are stagnated. The Government seems to be doing well in verbal terms, but not administration wise. The worst components are visible in how the judicial system is handled and intervened by the ruling regime. A series of allegations absorb considerable attention, time and energy of the incumbent government. This is then followed by a string of interrogations that lead to nowhere with insufficient proof, and are only heard in media headlines. If the judicial system is not systematic and is full of loopholes, this questions the standard of the civil society we live in. Also the global investor confidence on the country will decrease. As someone who reads most of the news on Facebook and other online gossip news channels, occasionally glances through the newspaper headlines and watches news once in a while on TV, nowadays, I find it exceedingly difficult to tell facts from fiction. But from what I’ve heard, seen and felt through those dubious sources – they say there’s no smoke without fire – I’m only convinced that the country over the preceding months of the year 2017 has been sliding into chaos, disorder and lawlessness at an alarmingly rapid clip. Forget everything else and simply consider the glaring fact that for the first time in the known history of our country (I mean the history that’s known to our generation), the incumbent finance minister was forced to resign on charges of corruption. Look at education, healthcare, public welfare, ethnic reconciliation, law and order, civil administration, road and infrastructure development, power and energy, media, foreign direct investments, CBSL and the treasury, agriculture and so on and so forth. There’s hardly any minister or ministry that is untainted by the charges of corruption and incompetency. As of late, some folks have even contested the results of the 2015 Presidential election, given what had come to the surface following the recent arrest of a chairman of a state-owned gas company over a financial fraud and cybercrime of epic proportions. While I honour the public mandate, how something as obvious as the citizenship of a major contestant’s party’s chairman escaped the notice of the Election Commissioner’s Department totally perplexes me. The picture is totally grim. But, we still keep our fingers crossed for a white knight to ride in and rescue us from this limbo. Every time I ask myself whether it’s gullibility or optimism, to be honest, my mind draws a blank. This is probably the worst year Sri Lanka has had after 2001. I believe it is rational to comment that it was both ‘bad and ugly’ where the performance of 2017 displayed a high amount of insanity. The levels of mismanagement and corruption reported are far too complex for poor country such as Sri Lanka to recover from. The country has been virtually drawn backwards in terms of integrity, governance and decision making, hindering the progress of the nation and its citizens. 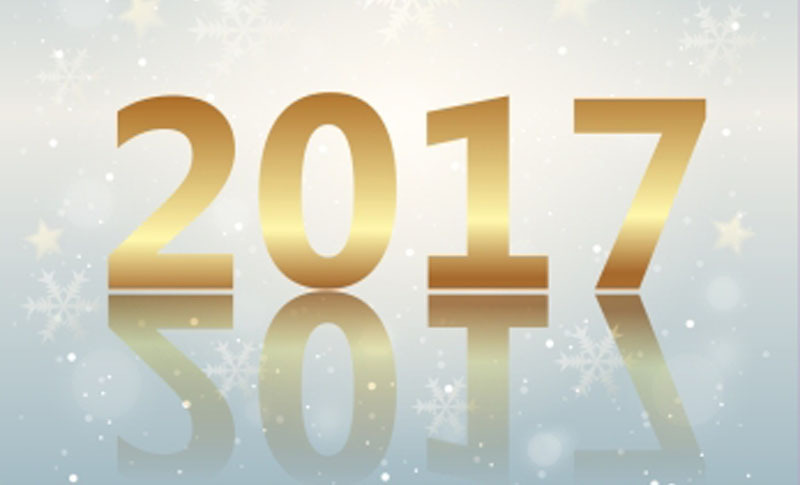 It is time to reflect on 2017, as the last quarter of the year has begun and time will gradually pass, taking us to the next year. As such, we cannot afford to carry forward and accumulate more faults and frauds. Time is right to learn and admit our fallacies. Readiness to act with enforceable and active strategies and policies are mandatory. Yet, no government seems to be trustworthy to rely on.